Disclosure: I was hosted by the Inbal Hotel as part of a pre-TBEX blogger Tour in partnership with TBEX and the I Travel Jerusalem Tourism Board. Planning a trip to Jerusalem? Well first things first…you need a place to stay. You don’t want to get stuck in a stable like some other famous couple traveling in Israel. For me, one of the first deciding factors in selecting a hotel is the location. I want to be in the heart of any city I am visiting. This is mostly because of logistics. I want to be able to get to all the places I want to visit easily, especially when the kids are traveling with me. They just love to step out of the hotel and start exploring the city. 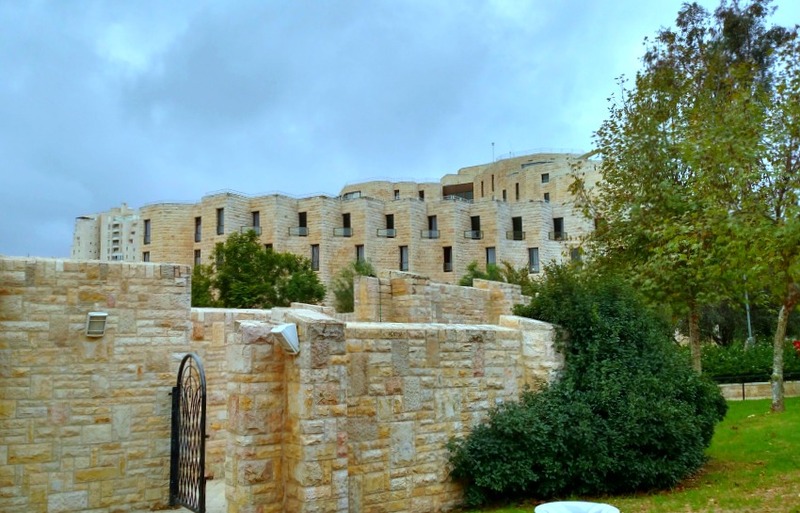 Inbal Hotel is located right in the center of Jerusalem. 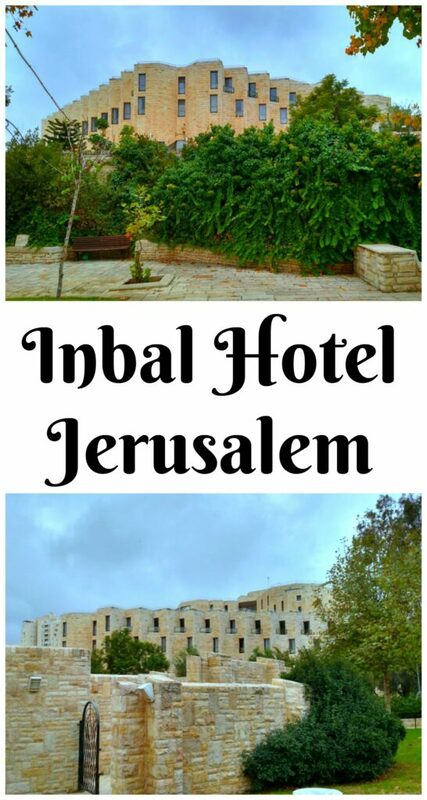 The best feature of the Inbal Hotel is the fact that it overlooks the Old City of Jerusalem and Liberty Bell Park. Liberty Bell Park gets its name from a replica of the famous Liberty Bell in Philadelphia. The replica was created in honor of the US Bicentennial. The park boasts playgrounds, basketball courts, and a roller skating rink. 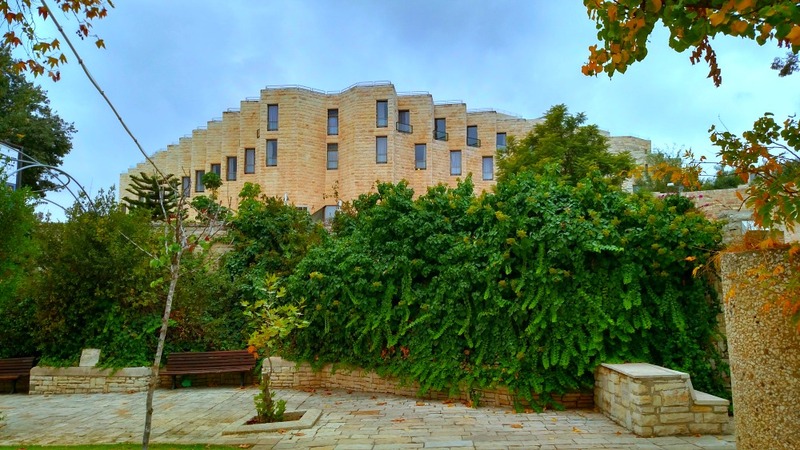 Guests of the Inbal Hotel will love strolling through the park and will enjoy the lush beautiful gardens. The park is the perfect place to relax in the center of the city of Jerusalem. My children love exploring new parks and playgrounds and I love that the hotel is so close to a great place for families to get out and stretch their legs. Within its beautiful exterior walls that mirror the look and feel of the Old City, nothing about the hotel could be considered old. The rooms and facilities exude modern luxury and comfort. I had a king size bed all to myself which was a real treat. There are a variety of rooms to choose from so every style of traveler should find something to meet their needs. Tip: Book either the Deluxe or Executive Style room for all day access to the executive lounge. See below for more info about the executive lounge. The bathroom was very contemporary as well, covered in marbled tile with sleek lines and all the bells and whistles of a luxury bathroom. Everything was clean which is a high priority for anyplace I stay. After location and accommodations, I usually look at the amenities. With two boys full of energy, I always try to find a hotel with a pool, both an indoor and outdoor pool is ideal. The Inbal Hotel’s outdoor pool is heated and covered in the cooler months of winter so you can swim all year round. You will also find a fitness center and spa. I always try to steal time away from the family for a relaxing massage so an onsite spa is perfect. Important Insider Tip: Some rooms at the Inbal Hotel include access to the Executive Lounge on the 9th floor. What is so great about the executive lounge? Everything. Hot soups, cheese platters, fresh fruit, breads, and pastries are available if you get hungry between meals. You can enjoy adult beverages including local bottled beers, wine, and spirits. What is really fantastic about the executive lounge however is the view. 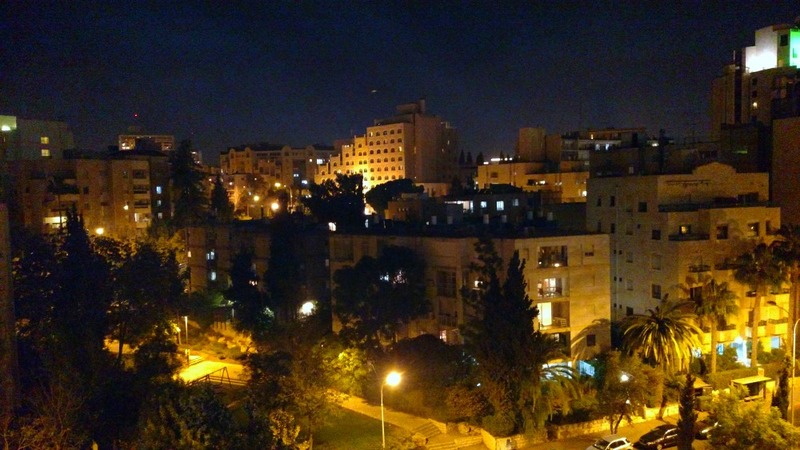 The patio offers beautiful views of the Old City of Jerusalem and the City of David as well as parts of the New City. Jerusalem is projected as one of he best destinations to visit in 2017, so be sure to make your travel plans. The Inbal Hotel is ready to welcome you! This is so true. I love to be in the center of everything. This looks like a great choice for hotels Isreal. Looks like a great hotel! That’s another thing besides a cruise Israel ?? is another place I want to experience. I am so jealous! I would have loved to visit there. It would be such an awesome experience. This is definitely on my bucket list. Thank you for sharing. Looks like a very nice hotel! Definitely on my bucket list. What a beautiful hotel. I love the amenities. I’ve always wanted to go there! Beautiful! A vacation sounds great right now! I love the setting of this hotel, very impressive! Wow, looks like a fantastic place. If I ever go to Israel and Jerusalem, I will surely check out this place as a possible place to stay. Thanks for a great review. This is a beautiful hotel! I hope to make it there one day. This hotel is very beautiful, i love its setting. This hotel is very beautiful, love the setting. Some day I hope to make it there. This place is definitely on my bucket list. I would just love to travel somewhere outside of the U.S. I am in love with this hotel and its setting. Completely gorgeous – Jerusalem is on my bucket list! How Beautiful, I’ve never been out of the Midwest so to see this world be a Blessing! Wow! That hotel is beautiful. Guess I didn’t expect that there. This is a very pretty hotel, love the setting. Love this hotel, very pretty setting. Oh, I would totally love to visit here. And the executive lounge looks amazing! I didn’t know that such places existed there for tourists. Thanks for including a link, so I can check it out! This hotel looks amazing. Thanks for sharing your experience here. That looks like a great vacation spot. We are always looking for a good place to stay when vacationing. Those are beautiful pictures you have of the hotel and city. My mother had the opportunity to visit Isreal some years ago and it is on my own bucket list. This hotel is a beauty. Love the setting of this hotel, definitely on my bucket list. My favorite amenity is the fitness center and spa! I love the bathroom, so modern and big.